At first glance, a hard drive looks like a simple piece of computer equipment. But looks can be deceiving. The relatively insignificant looking square contains thousands of gigabits of your information. Information that has accumulated over the years, information that is most at risk when you are in the process of upgrading or discarding your computer. Unfortunately, along with the advancements in technology come advancements in cyber invasions and data theft. To protect your information and your business, destroy your data right away the right way. Destroying the data on hard drives isn’t easy and should always be handled by an information security expert. Attempting to destroy a hard drive on your own is not only foolish but could lead to injury. Reputable businesses do it the right way through destruction and often offer guarantees that no retrievable information remains. 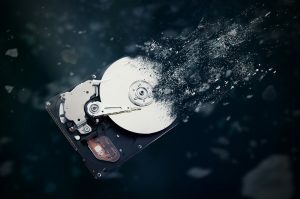 Some companies may use dangerous practices like wiping, crushing or simply breaking hard drives into a few pieces. Are all the plates really destroyed? Is your information accessible by the thieves that know exactly how to get it? You simply don’t know. 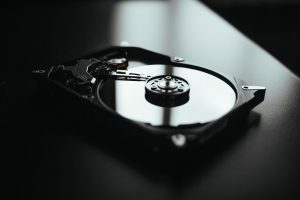 Many recyclers and processors resell hard drives placing your data and your company in the hands of people that know how to retrieve and sell it. While other companies take the easy way out when it comes to data destruction, DataShield does it the right way every day. DataShield has three dedicated hard drive shredders as well as a solid state device shredder guaranteeing that your important information is unrecoverable. DataShield’s commitment to never reselling hard drives differentiates us from other companies. Plus, we recycle the destroyed hard drive – protecting you and our planet. Learn more about DataShield’s data destruction services here and contact us today!